Some runners noticed the enhanced comfort given by the 3rd version of the Wildcat. The Air Mesh provides breathable coverage that’s comfortable and lightweight. The toe cap protects the foot from debris. Many reviewers like the Asymmetrical lacing harness of the Wildcat 3.0, which efficiently adjusts the fit in a responsive manner. This shoe features the Impact Brake System for shock absorption and maximum grip. This version comes with a wider toe box which was ideal for those with wide feet. There were runners who noticed that the shoe lining does not totally keep the foot cool and dry. The weight of the Wildcat 3.0 is heavy. It has a slightly expensive price. The La Sportiva Wildcat 3.0 is a reliable trail shoe for neutral runners. Runners can expect a comfortable fit and plush cushioning from the La Sportiva Wildcat 3.0. Many were impressed by the updated look and construction of the Wildcat. 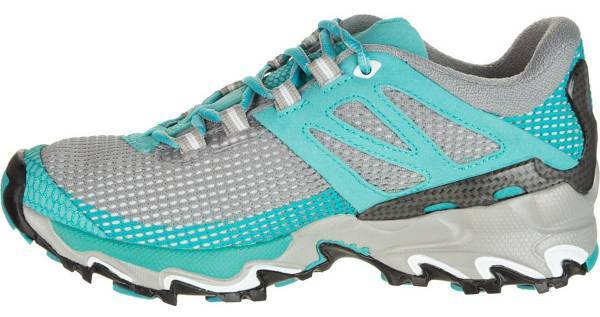 This shoe is best for off-road racing, long distance running and daily training sessions. The La Sportiva Wildcat was designed as a neutral shoe for trail running that requires more traction/support than your typical road running shoe can provide. This shoe competes with others such as Brooks Puregrit 6 & New Balance’s Leadville v3. However, La Sportiva is all about the mountain and trails, it is what they do, and they do it well. Weight: 1lb 9 oz – slightly heavier than your average road shoe but considering its purpose and stability, you’ll never really notice. Midsole: EVA – multiple layers to provide cushioning & nylon molded shanks to keep the arch support consistent while providing a firmness that protects from roots and rocks. Upper: Nylon mesh that is advertised as water resistant and breathable. This helps keep the shoe-weight down as it is a 1-piece setup. The nylon mesh was designed with plenty of holes for breathability, and this works well. My feet don’t feel like they are burning anywhere from mile 1 to mile 6 (my usual distance is 5 miles). I did get caught in a light drizzle on one outing, and my feet remained dry, so I feel comfortable in supporting the water resistant claim. The toe guard wrap provides good protection if you happen to kick a root or a dirt mound, but it doesn’t take away from the overall ability of the shoe to breathe well. Between the lace design and the mold of the shoe, the tongue is held securely in place and slipping does not occur. The shoe’s nylon upper and the laces actually wrap over the tongue (see picture) while leaving the tongue still independent in the upper area. This creates a snug feel on the top of the foot without feeling too tight or bound in any other way – more as if the foot is wrapped. The orange area you see is a soft cushion, but it is contained to the surrounding area of the heel and immediate sides below the ankle area. It doesn’t go all the way down the shoe which allows for those areas to be comfortable without sacrificing the breathability. This also helps wick the moisture away and holds the heel snug. 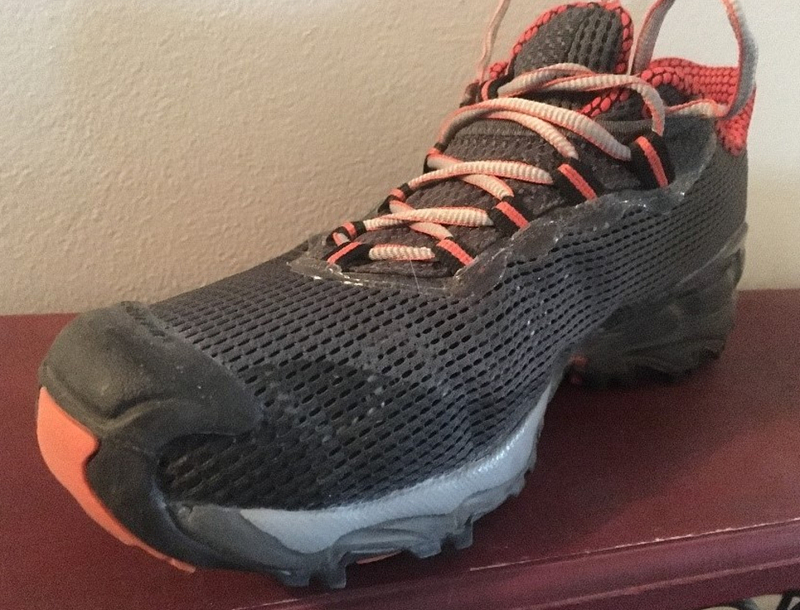 The shoe is advertised as neutral but and while the arch support isn’t aggressive, it is appreciatively present and doesn’t appear to have faded after the first 50 miles. My feet feel supported without the shoe feeling too stiff, and I don’t hurt at all from roots or rocks. These aren’t made with the knobs that you’d want for off-trail or mud, but they are perfect for the single-track bike (type of) trails or only slightly kept paths that you might find. My wildcats have saved my ankles from rolling on a random root or rock many times even though I don’t quite understand how they’ve made that work so well. This is what I mean when I say they do trails and mountains and they do it well. I mostly appreciate the support, the traction, and whatever system is used that has saved my ankles. With so much mesh in the shoe’s upper and not a whole lot of protection along the sides (other than towards the heel and a small toe cap), it is more prone to tears. The Wildcat 3.0 is a resounding answer to hordes of trail enthusiasts who found some glaring issues with the fit of the past version. While La Sportiva shoes are often narrow in the forefoot, the past edition was even more so. This time around, the company made sure that the forefoot is truly average for enhanced comfort, which should make a good number of runners happy. One modification that delivered more room in this area is the removal of the granite-like toe protection. The 3rd version of the Wildcat sports a forgiving toe protection that gives more breathing room in the forefoot. The latest model also features a few new overlays for added structure and support. This will be very handy when tackling the difficult and uneven terrain. Finally, La Sportiva tried to make the cushioning a tad softer than the prior version. A softer ride that still provides responsive cushioning is in store for those who wear this shoe on the trails. Thankfully, the fit of the Wildcat 3.0 is average, which is substantially better than the narrow fit of most La Sportiva trail shoes. Runners who are looking for a rugged outdoor shoe with enough breathing room in the forefoot, snug heel and midfoot, will really enjoy this shoe. Available widths are D and B while sizing remains standard. Sizing options are 6 to 15 for the men’s and 5 to 11 for the women’s. La Sportiva’s sticky FriXion X-Axis rubber does an excellent job in providing superior traction on moderately difficult and technical terrain. An Impact Brake System or the configuration of rightly spaced lugs delivers consistent bite in almost all outdoor surfaces, including wet rocks. A dual-density EVA called MEMlex by La Sportiva and the brand exclusive SpEVA combine for a very nice mixture of shock-absorbing features and responsiveness. To control overpronation, a TPU midsole insert holds the excessive inward rolling of the foot to a minimum. The structure of the midsole makes the Wildcat 3.0 ideal for neutral pronators. The upper features mesh of substantial holes for a really breathable ride. There are a couple of leather-like overlays sandwiched by netting to enhance midfoot lockdown. The Altra Olympus 3.0, on the other hand, uses a trail-specific mesh that has a quick-drying capability. A stiff yet comfortable heel cup prevents heel slippage while the interior sports a moisture-wicking fabric. La Sportiva’s new toe counter is flexible but resilient. It adds sufficient protection for the toes and adds more room in the toe box.